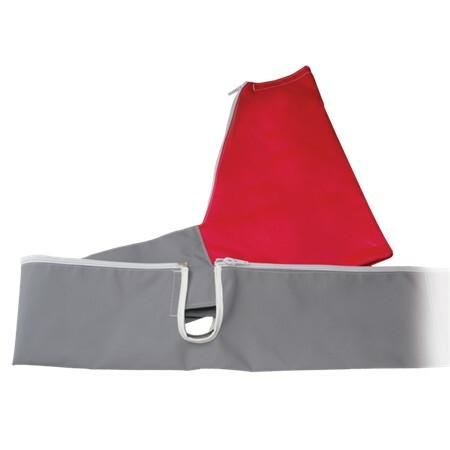 Our zippered mast bag is made of high-strength, water-repellant Top Gun fabric. Cutouts for shrouds and spreader. Red material at each end for visibility when trailering. Grey.